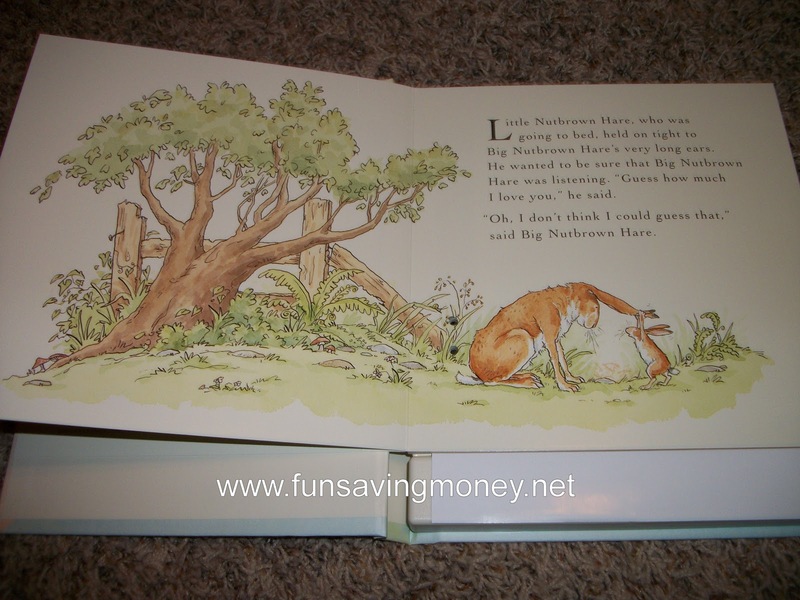 2010 Fun Holiday Gift Guide: Hallmark Recordable Story Books Review and Giveaway! It has been a tradition of mine since my son could first talk to give my mom and dad a recordable ornament with my son Jeremy wishing them a Merry Christmas. When I first saw the ornament in the store I thought to myself that would be a great idea but I never imagined how special this tradition would come to be. It is so incredibly sweet to be able to push a button and hear my son’s voice at 2,3,4,5 and so on. Hallmark has always been a store that I turn to during the holiday’s. In fact I have gotten many of my recordable ornaments and cards from them over the years. I had recently seen a commercial for the Hallmark Recordable Story Books and thought to myself that this would be the absolute perfect holiday gift. 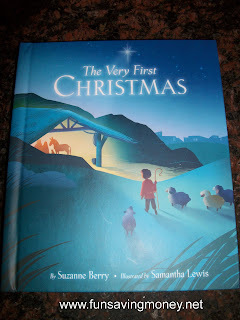 Hallmark sent our family The Very First Christmas and Guess How Much I Love You Recordable Story Books. The books both have a hard cover and the pages are also hard. 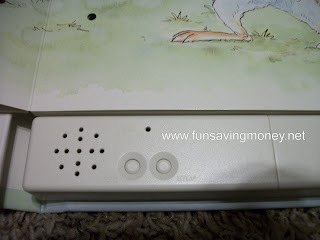 There are removable instructions are on the front of the book and also inside the cover has instructions on how to record and care for your book. 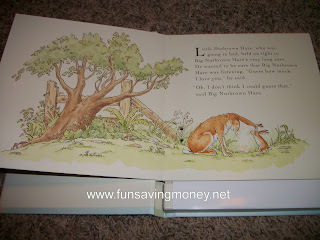 It is very easy to get started recording your voice while reading the book. 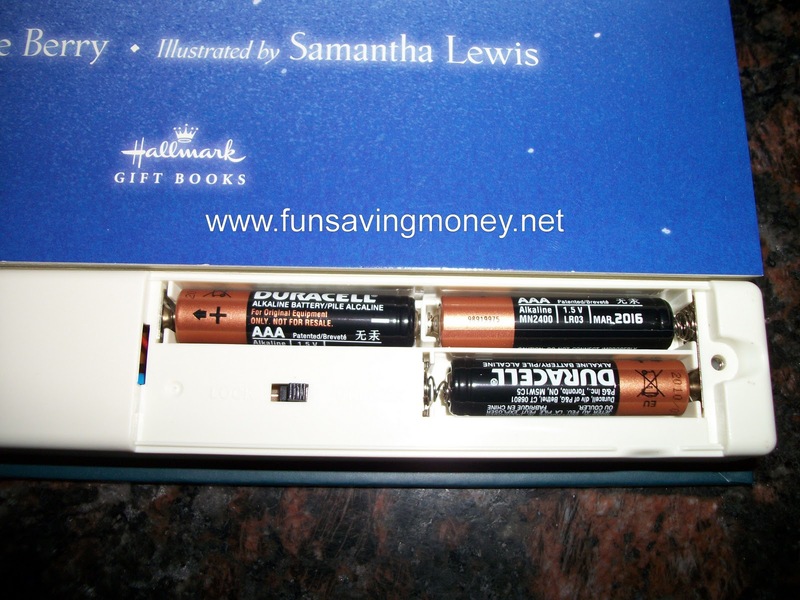 The book requires 3AAA Batteries which are already included. 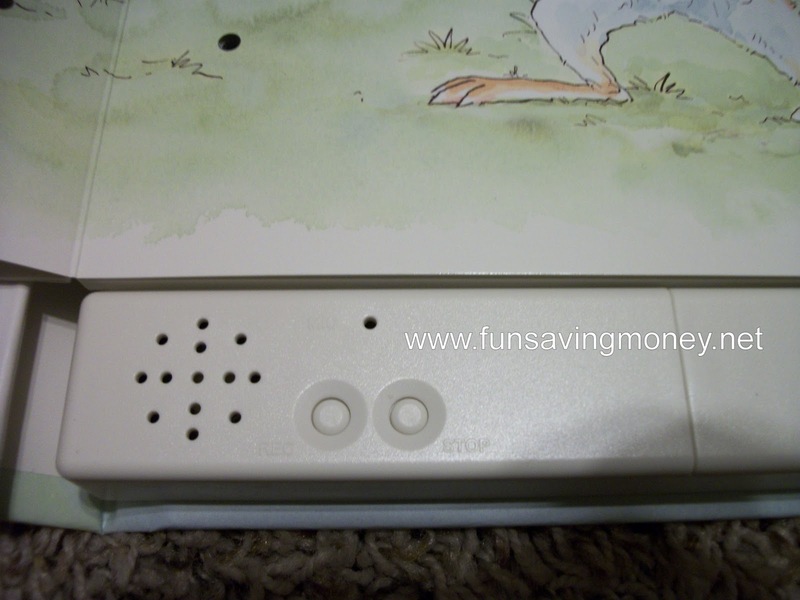 When your ready to start recording there are two buttons on the inside of the book. You simply press record and the voice will prompt you to start recording after you hear the beep. When your done reading the page you just simply press stop and your voice will play back. If your satisfied with the recording you move on to the next page until the book is completely recorded. To make sure that you recording stays safe their is a switch inside of the recording box which you can slide over to lock the recording. One of the things that I am so happy to hear is that even if the batteries go dead, your recording will still be saved as long as it is in the locked position. 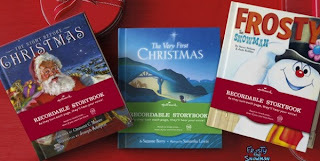 I am absolutely thrilled with both of my Hallmark Recordable Books and there are several more that I plan on purchasing for Christmas for myself as well as other family members. These are priceless and such a wonderful gift that most people will treasure forever. His is a short video of Jeremy recording himself reading The Very First Christmas. Sorry for the lighting issues, we recorded this right before bedtime and it was dark. I just love the fact that when Jeremy is older I will have always have this book to listen to and hear his voice at a time when he was learning to first read. These are also great for parents, grandparents, etc. to record so that your loved one will always be able to hear your voice even if you can’t be there. Be sure to visit Hallmark for all of the Recordable Book Titles and for other great gift ideas! Here is a printable coupon good for $5 off your next total purchase at Hallmark Gold Crown Stores! This coupon is valid from 12/3/10-12/5/10. Win It: Thanks to Hallmark, one lucky reader is going to win a copy of The Very First Christmas Recordable Storybook! This giveaway will end on December 16th at 11:59pm when a winner will be randomly selected. The winner has 48 hours to contact me after being notified of winning or a new winner will be chosen. Please leave a valid email address in each comment so that I can contact you if you are the winner. Disclosure: This is a non-paid post and honest opinions were used. All opinions expressed are based on my own experience and may differ from yours. Thanks to the company and/or pr agency for providing the products for review and giveaway. Like this site? Please Subscribe to Having Fun Saving Money by Email or RSS Feed. I would like to have the Hey Diddle Diddle. Would love Twinkle Twinkle Little Star. I would love Twinkle Twinkle little star. My grandparents are getting old and it would be awesome to have them record a book for my kids. I would like to have Twinkle Twinkle Little Star. I would love to have "All the Ways I Love you"
I was just at Hallmark tonight and LOVED the Frosty the Snowman book. I would love Twinkle Twinkle little star. like Hallmark on facebook and left a positive comment. Id love Frosty the Snowman. 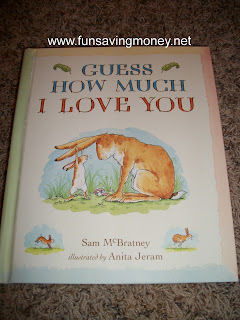 I would love to have the "Guess How Much I love you" book! I would definitely want Frosty the Snowman, because my kids love that movie! The book would be even better! 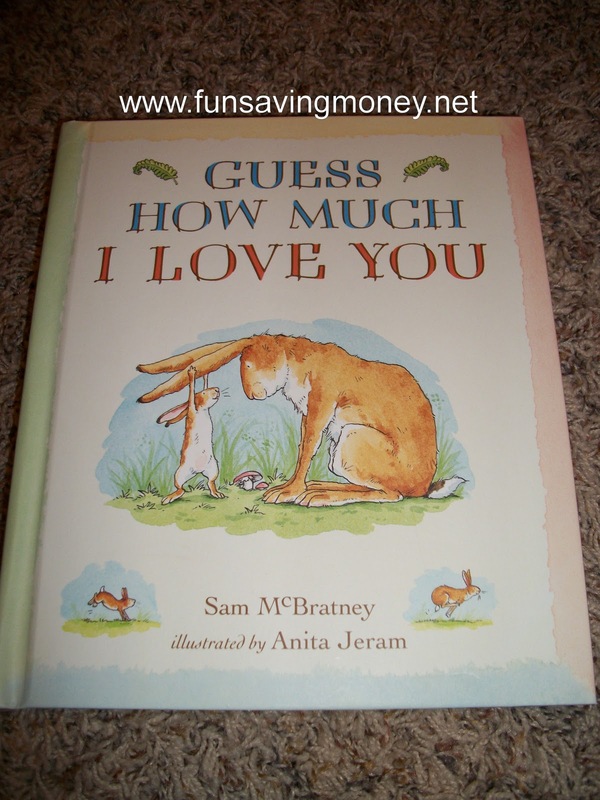 I would love to have get the "Guess how much I love you" book. I already read this to my girls almost every night, but I am starting a new job and this way I would still "read" it to them! My first choice is the Very First Christmas that you are giving away! But as you said ANOTHER book, I would choose the classic The Night Before Christmas. Thank you! I would like the Frosty the Snowman one. My Grandpa and Me would be a great book for my little man and his Grandpa! I love the Frosty book! We like the "All The Ways I Love You" storybook. What an heirloom piece. I like Frosty The Snowman Recordable Book. I like the Jingle All the Way book! I would love to have twas the night before christmas because its a wonderful classic. I like The Very First Christmas recordable book. I entered Ali Jacks Clothing Giveaway. I would choose the all the ways I love you. I entered the allie jack giveaway! I like "The Night Before Christmas"! I'd also love to have "My Grandpa and Me." I like the All The Ways I Love You book. "All the Ways I Love You" looks cute! My oldest daughter actually asked me for one of these for Christmas and Guess How Much I Love You is a family favorite! Another book that I like is All the Ways I Love You! Thanks for the chance to win! I'm an old follower via GFC as jewelknits! I entered your Glide Bike giveaway! I entered your DS Games giveaway! I entered your Hearthsong giveaway!